Not this again, I sighed to myself, trapped on an elevator with a type I knew all too well. The tall, young, grinning man was the spitting image of so many boys I knew in the church growing up. Clean-cut and clutching a Bible as a sidearm, he answered the Great Commission to spread his version of the good news seriously and enthusiastically. “I know how much God loves me,” I replied. “But what about Jesus?? ?,” he replied, although the sounds of “S” in Jesus’s name felt like the hiss of a serpent. This elevator incident took place in Pasadena, California in April 2016, well over a decade after I had begun my personal spiritual abuse recovery. It was also several years after I had started teaching on the subject. Yet that feeling of being trapped with an embodied symbol of a rigid religious system and an interpretation of the gospel that had caused me so much pain still rattled me to my core. I realized there were many more layers to unearth and heal. This experience of wondering, when will this ever end? can be common for survivors of spiritual abuse. If you relate to this, you are not alone and you are definitely not defective. 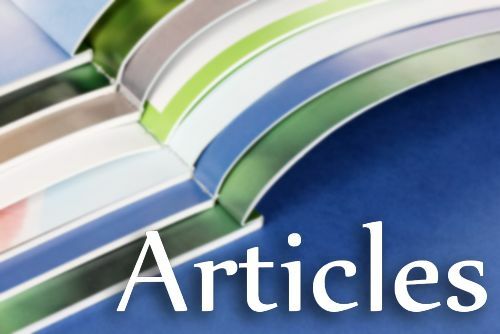 My intention for this article, as both a spiritual abuse survivor and a professional counselor specializing in the treatment of trauma, is to shed some light on the meaning of spiritual abuse and to help you identify some of its common dynamics. My hope is that these insights can provide a framework to conceptualize your struggles and provide further clarity on how to forge a healing path. My simple, working definition of spiritual abuse is this: whenever a person or system in a position of power uses God or any other spiritual construct as a weapon to control, manipulate, or demean, spiritual abuse occurs. The power differentials can take many forms with some of the most commonly observed being that of a religious/spiritual leader to congregant/disciple, teacher to student, and parent to child. In the largest possible sense, the power that a theocratic political state exercises over its people can also be viewed as a spiritually abusive dynamic, especially when the language of “God’s will” or “God’s plan” is used to justify state-sponsored discrimination or withdrawal of basic rights. When I share with people that I teach on spiritual abuse, one of the first responses I receive is, “Oh, you mean things like cults? Or Satanic ritual abuse?” These associations come to mind largely because of the media attention they generate, or the shock value they elicit when their rituals and practices are exposed. However, spiritual abuse is much more mainstream and more common than the sensationalized news stories might imply. This truth is usually rather difficult for us to swallow, particularly if we work in ministry or raise children in spiritual traditions without questioning certain teachings of these traditions. And at some point, we may be challenged to look at our own behavior around these dynamics. The likes of Jim Jones and David Koresh do not have the market cornered on spiritually abusing the vulnerable. Indeed, the church, temple, or mosque down the street, or the local, folksy yoga studio, or various political leadership structures can all be guilty of using spiritually abusive tactics. 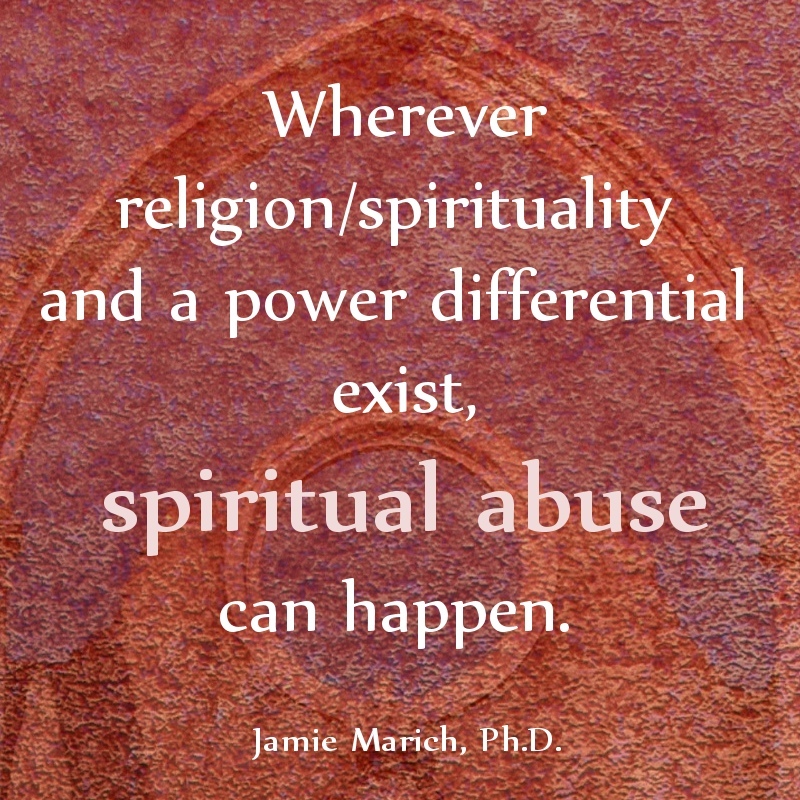 Wherever religion/spirituality and a power differential exist, spiritual abuse can happen. skill in the language of emotions, trust, and intimacy. As we take a look at each one, notice which patterns may resonate as you contemplate the impact of spiritual abuse on your life story. Narcissistic traits and tendencies, resulting from deep insecurity. A lust for power over others or a need to control is a common trait seen in those who abuse— typically because they are lacking an internal sense of control and stability. The first book I ever picked up on the topic of spiritual abuse, aptly titled The Subtle Power of Spiritual Abuse by Jeff van Vonderen and David Johnson (1991), highlighted this idea. In my clinical opinion, if we walk into a bar and you show me the roughest, toughest bully in the place, you are also showing me the person who is hurting the most. The same translates to pastoral figures or vitriolic religious leaders. When I see footage of their diatribes, my first assessment is typically, “Wow, they must really be hurting.” Those with narcissistic traits and tendencies (even if criteria for clinical narcissistic personality disorder are not met) are reacting to a deep sense of insecurity. For many who spiritually abuse, having spiritual knowledge to lord it over other people becomes a way to meet their need for inner security or to feel better about themselves. Throughout my life and my practice as a clinician, I’ve seen countless people with generally poor self-esteem suddenly light up because they discovered some greater “truth” that now makes them better or more enlightened than others. “I have the answer and I’m going to heaven, and unless you do what I say then you won’t be joining me in this eternal reward,” is an example of how this script may play out. Where such people once felt powerless, they now feel powerful. Usually a genuine belief that they are doing “the right thing.” With some exceptions, those who spiritually abuse rarely intend to do harm. Many who act out in spiritually abusive ways (likely unaware of the subconscious insecurities that drive them) genuinely believe they have found some type of “answer” and desire to share it with others. I believe wholeheartedly this description applies to the elevator evangelist I introduced in the opening of this piece. How many devout parents out there believe they are doing right by their children in providing instruction in the ways of their faith? To be clear, devotion or sharing your faith with your children is not the inherent evil. It is how you share it that can be problematic. When demeaning, shaming, and demoralizing become the methods for “sharing” that faith, there is a problem. This dynamic plays out too painfully often when religious parents chastise children who are questioning their sexuality and/or gender identity, or may already identify as LGBTQ+. So many traumatized, addicted people that I’ve treated over the years were ripped to shreds by parents or clergy in the name of God, punctuated by the phrase “I’m doing this for your own good.” The stated “good” is usually the abuser’s belief that they are keeping the abused out of hell. Boyd Purcell’s (2008) Spiritual Terrorism offers excellent insight on this topic, including how spiritual abusers use legalism, literalism, and mixed messages to mess with the heads of the faithful. Possessing skill in the language of love, emotions, trust, and intimacy. If abusers are not directly cruel, they are generally very manipulative. To meet their own needs, they may use the nuanced appeal of “I have what you really want deep down” (implying, “even though you don’t know it”). Those who publish their stories on experiences with abusive systems typically acknowledge that the church or spiritual community had a certain appeal, promising good things like love, camaraderie, a sense of family, or even the promise of healing and enlightenment. These positive appeals are fundamentally wonderful; who wouldn’t want to be spiritually blissed out in a community of love, joy, and understanding? Those who spiritually abuse others are masters at luring people in with these good points. But after spending some time with the church or faith community, followers are likely to get acquainted with the ugly realities of the system. In essence, all of this promised love, joy, and bliss comes with a price. For those of us who grew up wounded in Christian settings, Eastern practices may hold great appeal because they are not wrought with the same language and triggers. This newness may be eye-opening and healing at first. Then the reality of subtle shaming tactics may lead to great mental and emotional harm in those who take part in certain communities. I have even seen this dynamic happen in schools of yoga, meditation, and Eastern practice as readily as I see it happen within Abrahamic religious systems. Certain gurus or teachers can come across as very alluring, often attracting scores of followers. Then, one of two things can happen. First, the initial appeal of the practice may wear off when disciples realize that their leaders are asking more of them in terms of devotion or financial contribution than they initially presented. Or, in the worst cases, leaders can take advantage of their followers’ pure desires for intimacy, motivation, and all the good things in life by promising it for a price, which could be financial, sexual, or emotional in nature. People who end up being spiritually abused are typically sensitive and gentle people. We genuinely desire love, acceptance, intimacy, and the positive attributes of spiritual experiences. Many of us have been hurt in other areas of life and are seeking spirituality, searching for that connection. Abusers tend to pick up on this, take advantage of it, or in worst cases, exploit it. People prone to spiritual abuse, like the abusers themselves, also suffer from deep insecurity—yet those vulnerable to the abuse tend to come with an extra degree of emotional sensitivity. There is typically a deep longing for love, trust, and intimacy. And at some point, a belief can arise that love must be earned. Yet those who are vulnerable to abuse, whether they be a nation of devoted followers under a tyrannical ruler or a child trying to obey their parent, a genuine intent to pursue truth or do the right thing exists within the self. Coming of age as an outspoken, queer (in all possible ways) woman in several traditional religious structures was challenging and exhausting. Had I stayed stuck in the closet of denial and repression, cut off from my genuine self, becoming some version of the elevator evangelist may have been one of the few ways I could have developed to cope with it. Symptoms of substance use disorders, traumatic stress disorders, and other classically recognized mental health issues can also result for survivors, as they did for me. I am grateful that the spiritually charged Higher Power/Inner Power I’ve come to know in my recovery journey has helped me to unravel the troublesome tangles in my brain left behind by my spiritually abusive experiences. I honor those people of deep faith and spiritual practice who showed me that there is another way to express myself as a spiritual being in the world. Survivors of spiritual abuse can feel justifiably averse to anything having to do with God or spirituality after emerging from the war zone of spiritual abuse. However, cutting off the aspects of oneself that are yearning for healthy, edifying connection to something other than the self—the essential definition of spiritual expression—can be equaling damaging. There is no one-size-fits all recovery path to healing from spiritual abuse. My hope for you is that while healing from the wounds that devastated you, there will open for you a new path, another and healthier way of connecting to the world with the deepest parts of yourself. While I was open to gender fluid language in approaching the Divine up to that point and often used it, I took Steve’s recommendation to heart and made a marked shift in my language and approach. From that day forward, my own spiritual abuse recovery journey was emboldened, and it opened doorways to other dimensions of the work. The entire story of that day is symbolic of what spiritual abuse recovery has meant to me—cleansing the wounds when they get triggered and seeking the connection of a fellow, like-minded seeker of recovery who can help me see the new paths forward. I don’t have to be trapped anymore. Hobson, W.W. (2012). Suffer the little children: Understanding and overcoming spiritual abuse. Published by the author [Kindle Book]. Kramer, J. K. & Alstad, D. (1993). The guru papers: Masks of authoritarian power. Berkeley, CA, Atlantic Books. Lalich, J., & Tobias, M. (2006). Take back your life: Recovering from cults and abusive relationships. Berkeley, CA: Bay Tree Publishing. Langone, M.D. (Ed.) (1993). Recovery from cults: Help for victims of psychological and spiritual abuse. New York: W.W. Norton & Co.
Orlowski, K. (2010). Spiritual abuse recovery: Dynamic research on finding a place of wholeness. Eugene, OR: Wipf & Stock Publishing. Pasquale, T. (2015). Sacred wounds: A path to healing from spiritual trauma. Danvers, MA: Chalice Press. Purcell, B.C. (2008). Spiritual terrorism: Spiritual abuse from the womb to the tomb. Bloomington, IN: AuthorHouse. Riley, R. (2015). Post traumatic church syndrome: One woman’s desperate, funny, and healing journey to explore 30 religions before her 30th birthday. Brentwood, TN: Howard Books. Ryan, D. & Ryan, J. (1992). Rooted in God’s love. Downers Grove, IL: InterVarsity Publishing. Van Vonderen, J. (2008). Tired of trying to measure up: Getting free from the demands, expectations, and intimidations of well-meaning people. Ada, MI: Bethany House Publishers. Van Vonderen, J. & Johnson, D. (1991/2005). The subtle power of spiritual abuse: Recognizing & escaping spiritual manipulation and false authority within the church. Bloomington, MN: Bethany House Publishers. 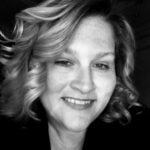 Jamie Marich, Ph.D., LPCC-S, LICDC-CS, REAT, RYT-200, RMT travels internationally speaking on topics related to EMDR therapy, trauma, addiction, expressive arts and mindfulness while maintaining a private practice in her home base of Warren, OH. She is the developer of the Dancing Mindfulness practice and delivered a TEDx talk on trauma in 2015. Jamie is the author of EMDR Made Simple: 4 Approaches for Using EMDR with Every Client (2011), Trauma and the Twelve Steps: A Complete Guide for Recovery Enhancement (2012), Trauma Made Simple: Competencies in Assessment, Treatment, and Working with Survivors, Dancing Mindfulness: A Creative Path to Healing and Transformation (2015). Her latest book (in collaboration with Dr. Stephen Dansiger) is EMDR Therapy and Mindfulness for Trauma Focused Care (Springer Publishing Company, November 2017). This was wonderful. I enjoy your writing style, and of course, the genuine content. Thank you for sharing! I looked into the eyes of this most precious granddaughter, and thought about what she knows of my life. The secure home away from home my life partner and I provide for her. The loving, caring relationship she witnesses. She loves my partner, her “Mormor,” and understands about the daily commitment I have to Mormor’s mother who lives 10 minutes from us.